At eFulfillment Service (EFS), we work with Australian-based eCommerce merchants to get their products to U.S. customers faster, and more affordably. 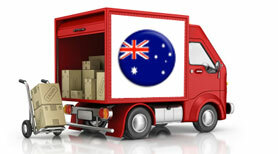 Here are a few of the reasons why so many Australian retailers choose EFS as their trusted U.S. fulfilment company. Our fulfilment warehouse is located in the center of the U.S., allowing Australian sellers to cost-effectively ship products to all of their U.S. customers from one location. Our fulfilment center is clean, organised and secure, and is supported by a strong technology backbone and experienced operations team. With our web-based technology, eFulfillment Service clients are able to easily maintain constant visibility over their fulfilment operations from their headquarters in Australia. With help from our in-house IT team, we integrate our technology with your shopping cart for free, allowing orders to be easily processed, and allowing our clients to monitor inventory and track packages on a 24/7 basis. At eFulfillment Service, we offer the flexibility and level of service that make sense for Australian-based businesses. There are no setup costs, no long-term contracts, and our fulfilment services and fees are transparent and easy to understand. Each of our clients has direct access to our in-house service and IT teams, and we also offer a 24/7 web-based support system. Learn more about our Test Drive Program, and discover why so many Australian-based online sellers trust eFulfillment Service as their U.S. fulfilment partner. Receive a free quote today.